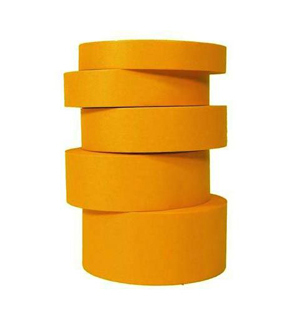 > Acrylic adhesive base tape for attaching protection strips on to vehicles. > Acryl as adhesive basis gives strong initial contact which offers superior adhesion given any temperature. 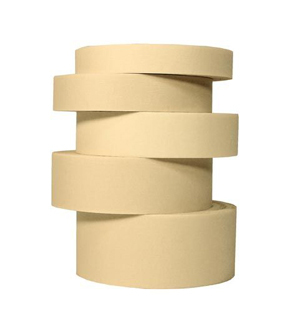 > The advantage of this unique acrylic tape is that the initial strength after 2 minutes is 80% of the total, where traditional double sided foam tape requires 12 to 24 hours to reach the same strength. > Traditional high quality automotive masking tape. > Can be used with all automotive paints, mainly with solvent based paints. > Excellent adhesion on most surfaces. > Carrier: 59 g/m² crêpe paper. > Adhesive strength: 9,4 N/25mm. > Entirely saturated masking tape of high adhesive strength. > Can be used with all water and solvent based paints. > Fit to use in combination with wet sanding. > Heat resistant: 30 minutes at 120°C. 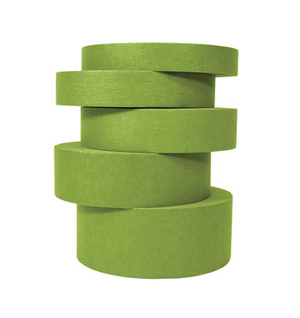 > Carrier: 63g/m² green saturated crêpe paper; water resistant. > Adhesive strenght on steel: 4,8 N/25mm. > Masking tape of the new generation. > Can be used with all water and solvent based automotive paints. > Solvent and water resitant. > Excellent adhesion on all surfaces, also on plastics and rubber. > More flexible than traditional masking tape. 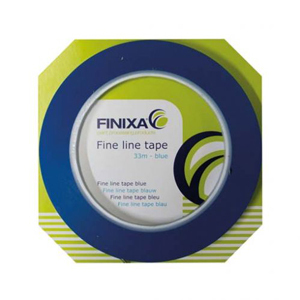 Can easily be used in soft curves and can in this case replace fine line tape. > Heat resistant: 30 minutes at 100°C. Suitable for oven drying. > Ultra thin carrier (0,08 mm): Japanese flat paper (also called rice paper). > Adhesive strength on steel: 82 N/25mm. > Saves a considerable amount of time during disassembly and assembly. > Never leaves traces of glue, not even on polycarbonite of head and tail lights. 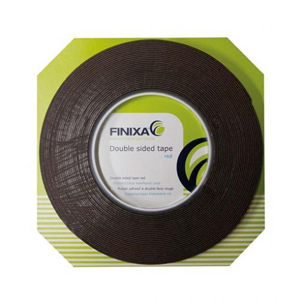 > Plastic tape for specific masking tasks such as spraying of multiple colours, art-work or ‘custom painting’. > This tape is thinner and more flexible. > The excellent adhesive quality makes it possible to mask on plastics and rubber. > 7 different sizes available.